1. Who do we pay our taxes to?  For the Town of Iola both the first and second tax installments are paid to the Waupaca County Treasurer. 2. Who do we send the dog license fees to? Please include shot information and a self-addressed stamped envelope. 3. What are the dog license fees? 4. There is a tree down on our road who do we contact? Please contact one of the Town of Iola board members. 5. Who do we contact for road issues or problems? Contact a Town of Iola Board member. 6. We have a question on our taxes, Who do we contact? 7. There is a stray dog running around the neighborhood.